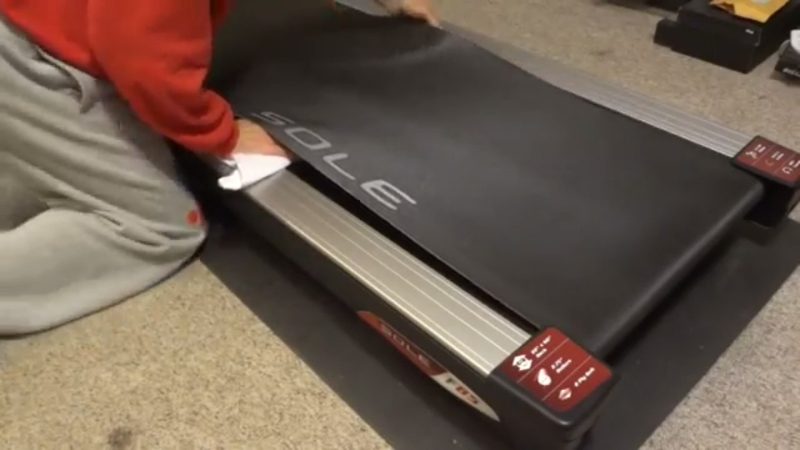 Want to know how to lubricate a treadmill belt? Thankfully, it's an easy project that doesn't take many tools and can be done by pretty much everyone. Looking at my Strava data the other morning, I realised that my home treadmill had just crossed the 1,000-mile mark! While that’s an awful lot of indoor running (thank you very much old man winter), it did mean that it was probably time to give the machine a bit of a once-over. 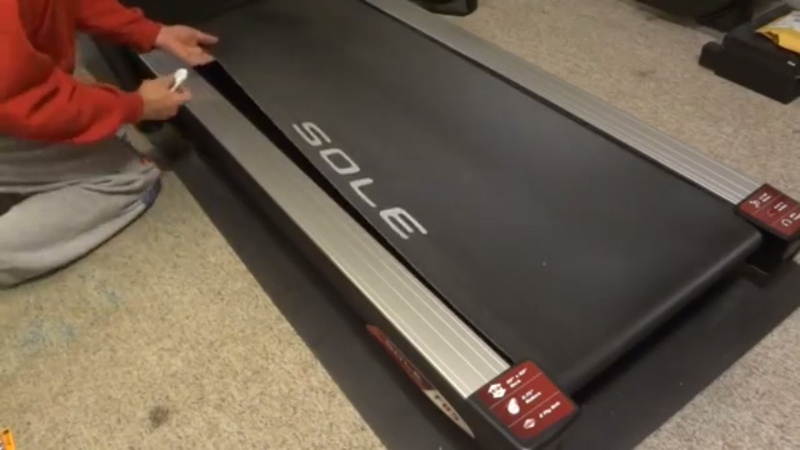 Whether you use a budget treadmill that you picked up for a few hundred dollars or a top of the range home treadmill, chances are that after a while, you’re going to need to service it. Thankfully, this doesn’t have to be expensive or take a lot of time! 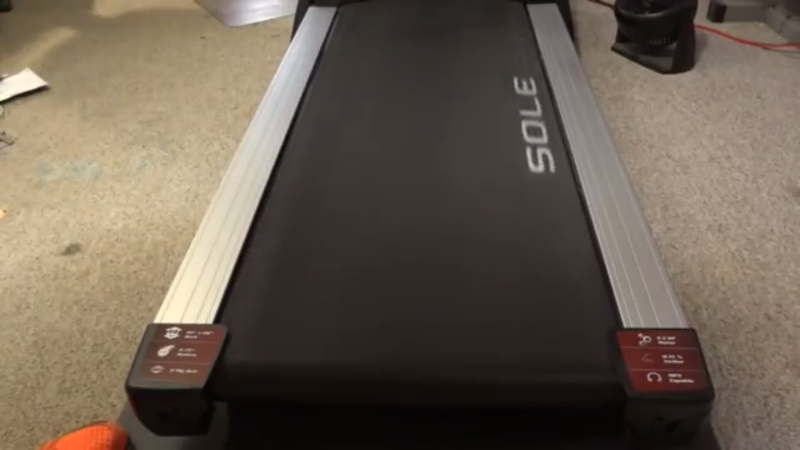 In this post, we’re going to take a look at just how easy it is to lubricate a treadmill belt. The first thing that you’re going to want to do is loosen the belt. Typically, the main belt bolts will be found at the back of your treadmill. Using an alankey, you’re going to want to go ahead and slacken these right off. Chances are, you won’t have to remove the bolts, just slacken them right off until the main belt feels loose and you allows you to get your hand under. Once the belt is loose then we’re going to remove some of the dust and any debris from the treadmill deck. The best way is to take a large cloth or an old t-shirt and thread it under the belt. Slide the cloth up and down to try to remove as much dust as possible. 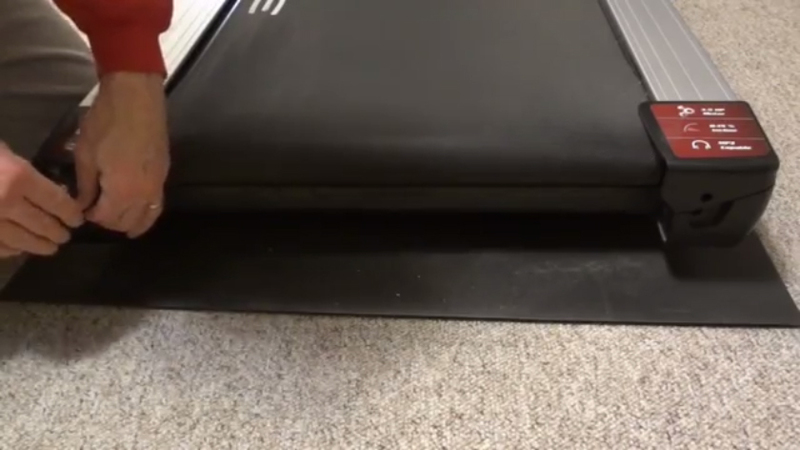 Now for the main event, lubing the treadmill. 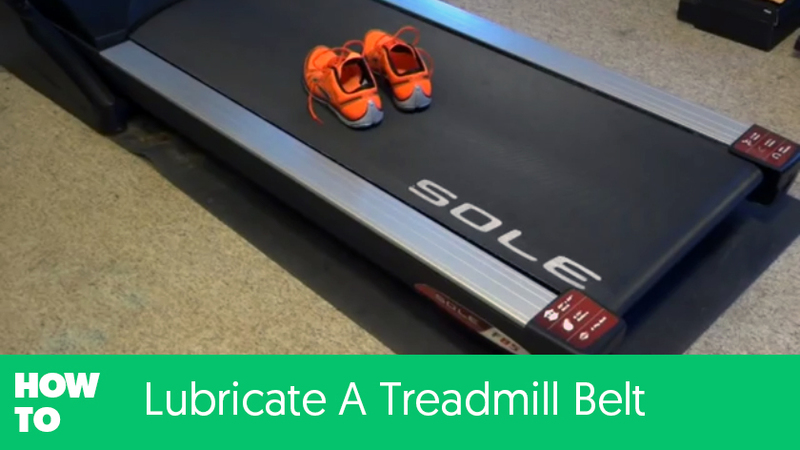 You’re going to want to make sure to use a brand of lubricant that’s approved for your treadmill. If in doubt, always contact the manufacturer. Roughly about a foot and a half from the top of the unit, you’re going to want to squeeze out the lubricant onto the treadmill deck, making a sort of wave pattern across. Repeat from side to side until the deck is well lubricated and the tube is empty. Okay, now that the deck is lubricated, it’s time to tighten the belt back up. Center the belt on the deck and then re-tighten the bolts at the reat of the machine. Now that we’re all tightened up, you can go ahead and switch your treadmill back on and set it moving on a slow speed. The belt should remain straight, if it pulls to one side, switch the machine off and readjust the bolts – normally you’ll find that one is over tightened. By now everything should be looking good. 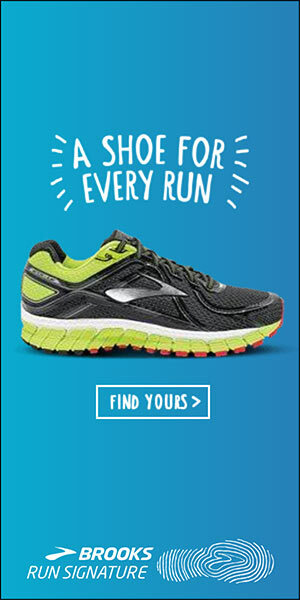 It’s time to get on and try it out! Keeping an nice even walking pace, spend 5 minutes just walking – moving in a slight jiz-jag pattern to spread the lubricant over the belt. Again, if you feel that the belt shifts to one side, shut down and re-adjust the rear bolts. Want To Watch The Video Tutorial? So there you have it. 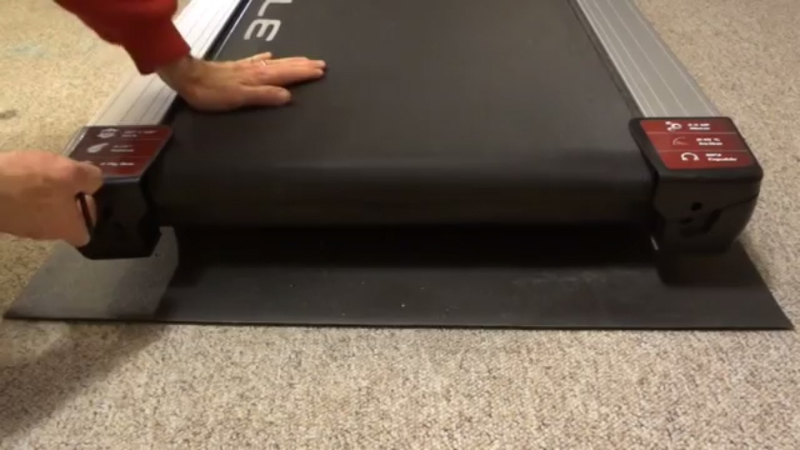 If you’ve ever wondered how to lubricate a treadmill belt – now you know! Did you like this tutorial? Let us know in the comments section below.